I was thrilled to be a guest on Vicki Davis's (aka The CoolCat Teacher) podcast to share 5 ways to bring the inquiry mindset to your classroom. It's a high energy and fast paced show where our love for teaching shines through - big time! Recently I provided the mic drop closing message to Flipgrid’s 1st annual Short Shorts Film Festival, a Facebook LIVE event that featured inspiring video from 10 edu rockstars! The series of short yet incredibly powerful ignite-style keynotes was a highlight for me! Check my video below, the entire series here and each individual mic drop here. Huge shout out to Adam Short Shorts and the Flipgrid crew for putting on this amazing event! Just one small difference in how my reports cards are written altered how my students feel about assessment, how they define success in our classroom, and how they set goals for themselves moving forward. In this EdTechTeam webinar Rebecca Bathurst-Hunt and I share some insight into inquiry with our littles and what personalized learning looks like with our youngest students. We share some ideas fro Inquiry Mindset and some of our most loved annecdotes from our classroom. Enjoy! 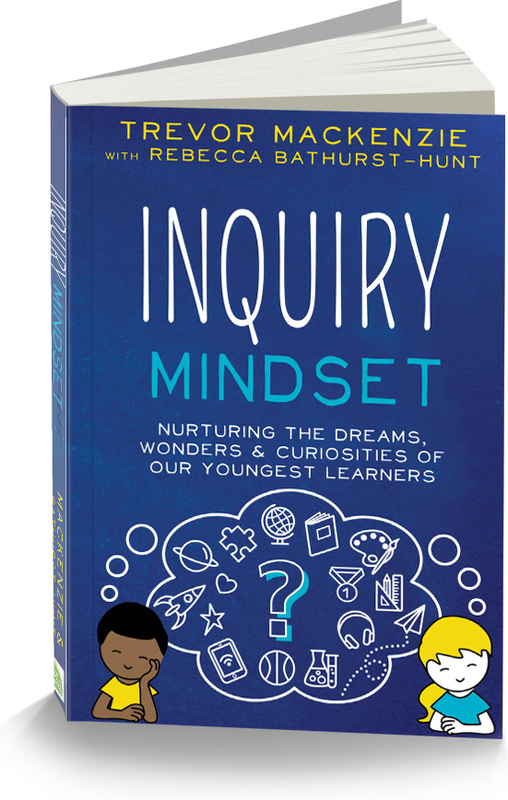 "I was fortunate to have received a draft of Inquiry Mindset written by Trevor MacKenzie with kindergarten teacher Rebecca Bathurst-Hunt. I will be sharing more about Trevor when I get to post the conversation I had with him for my podcast series, but I wanted to get a book review out first since it will be released soon. This is a powerful book, and I’m excited for educators to be able to get their hands on a copy March 1st. 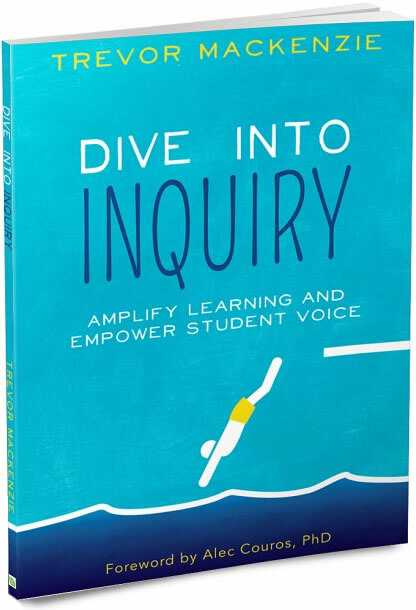 Inquiry Mindset expands on Trevor’s first book, Dive into Inquiry: Amplify Learning and Empower Student Voice, with another powerful argument for inquiry-based learning by challenging educators to stoke students’ curiosities, hear their voices, and nurture their hearts. Inquiry Mindset begins with a personal story about Trevor’s son, Ewan, to bring you right in to grab your heartstrings about why we need inquiry. This book provides practical advice, examples, strategies, and resources for teachers so they can meet those challenges for their own professional learning. Inquiry Mindset takes readers on their own personal journeys to discover how they can become inquiry teachers."